Charlie Sheen is the TV star who had a meltdown on set of his wildly popular sitcom. 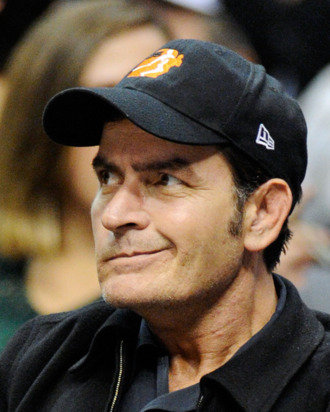 Charlie Sheen got infamously fired from said sitcom. Charlie Sheen took that collapse on tour and it wasn’t so good. Charlie Sheen hasn’t been doing so well since. So, we guess it’s not surprising to hear that Charlie Sheen is possibly choosing to go by another name. According to the LA Times, a screenshot from the credits of Robert Rodriguez’s latest film Machete Kills features a portrait of Sheen labeled “Carlos Estevez” — the moniker given to him at birth by parents Janet and Martin Sheen. (Both the older and younger Sheens changed their last names to make it easier to get acting work.) The paper suggests that Sheen might be making the change as a way to “distance himself from his well-earned bad boy persona,” or perhaps because Rodriguez is known “to bolster Latino heritage in his work.” Whether or not this is an effective way of turning over a new leaf remains unclear, but it can’t hurt.